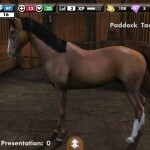 Here are some great horse game apps for iPad users. Complete with state-of-the art technology and crisp graphics, these engaging horse & pony games are for horse loving gals of all ages (and some even for boys, like Unpleasent horse app). Play with friends or compete with others you have never met for a realistic gaming experience. Learn grooming techniques as you prepare your horse for the big show or take time to create the perfect virtual horse world full of your favorite breeds. 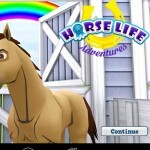 iPad horse games are perfect for on-the-go gaming and offer a rich educational opportunity to learn more about the wonderful world of horses while having a great time. 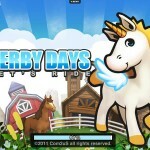 If you do not have an iPad, check out our recommended horse games for girls, aimed at all platforms.